There was a complete sense of peace and tranquility in the compound of a single storied house, adorned with a tall minaret and adjoining lush green lawns. The property, set amid lawns and orchards growing apples, oranges, grapes and pomegranates is actually a luxurious eight-roomed farmhouse with marble flooring, owned by a wealthy landlord. It is located in Dandey Darpakhel village, five kilometres north of Miranshah town, administrative headquarters of the North Waziristan Agency in the Federally Administered Tribal Areas of Pakistan. The area around Dandey Darpakhel is known as a hub for the Haqqani network, a militant faction blamed for some of the most high-profile attacks in Afghanistan in recent years and is considered a dangerous area. Many residents from this area had left the area during the Taliban's rule in Afghanistan, but returned back after the US-led invasion following the 9/11 attacks. Yet this particular farm house was always considered by the villagers as a safe heaven because it was situated just one Km away from the Pakistan army headquarters for restive North Waziristan. The local villagers always saw a convoy of four or five SUVs with blacked-out windows leave the compound early in the morning and return after sunset regularly and thought that somebody very important must be living in the house. It was believed that the new owners had bought this property for about US$120,000. On last Friday evening, villagers observed that a vehicle stood at the compound gate waiting to enter. 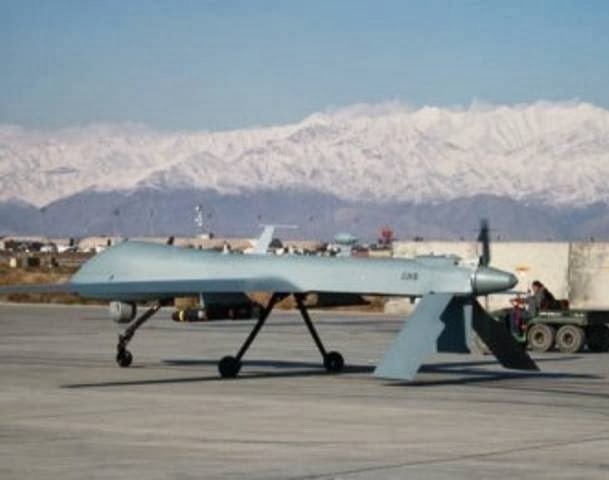 But next moment all the deceptive peace and tranquility was shattered as a US drone aircraft appeared in the sky from nowhere and fired two missiles directly hitting the vehicle, killing everyone sitting inside. Within minutes, an army of Taliban appeared on scene and cordoned off the area. It was known much later that amongst the dead persons, who were sitting in the SUV, was the feared Pakistani Taliban leader Hakimullah Mehsud. When news of Mehsud's death, broke out in Pakistan, it's political leaders reacted with unusual vehemence. The interior minister, Chaudhry Nisar Ali Khan, criticised the strike, as Pakistan was sending feelers to Mehsud to have peace talks and his killing directly sabotaged the process. Pakistan media raved about American treachery. And the former cricket star turned politician,Imran Khan, even threatened to block NATO military supply lines through Khyber pass. Americans were quite surprised by the Pakistani reaction as Mr. Mehsud, has been responsible for the deaths of thousands of Pakistani civilians. USA officials however responded by saying that negotiations with Taliban is an internal matter for Pakistan and drone attacks would continue. 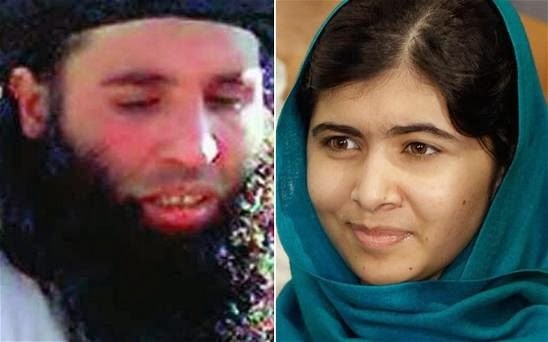 Meanwhile, Pakistani Taliban have named Mullah Fazlullah, as the new successor to Hakimullah Mehsud. The new chief, is infamous for carrying out many attacks, including the one on child rights activist Malala Yousafzai in 2012. He had in September claimed responsibility for the killing of top army officer, Maj General Sanaullah Niazi. The new Taliban leadership has already rejected any possibility of peace talks with Government of Pakistan and say that they would take revenge of the death of their leader. 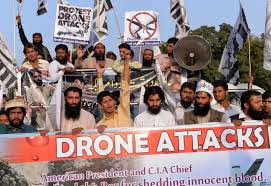 In Pakistan, this has triggered fears of fresh Taliban attacks as Taliban are talking about having taken a vow to avenge Mehsud's killing and have already blamed the Pakistan government for endorsing the drone strikes. Pakistan thus finds itself today, in a real nutcracker situation with Taliban threatening on one side and American refusal to end drone strikes on the other side. Initially they made much noise. Interior minister Chaudhry Nisar Ali Khan came out with a statement that said that the entire perspective of Pakistan-U.S. relations are going to be reviewed and also the level of cooperation in a meeting of the Cabinet committee on national security. Every aspect of U.S.-Pakistan cooperation will be discussed and reviewed. Pakistan also served a demarche on the U.S. Ambassador protesting the drone strike. It however became clear that all of this was just playing to the gallery as no meeting of concerned committee took place and the issue was not even discussed with the Prime Minister Nawaj Sharif. Pakistani officials now say that it would be business as usual with the U.S. and a review of ties was not going to take place. Pakistan finds itself now in an hopeless and unenviable position in the messy situation with Taliban breathing fire on one side and US continuing drone strikes on the other.